Laser hair removal is an excellent option for most people wanting to eliminate hair on their face and body. 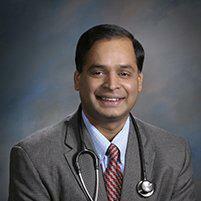 At Premier Physicians in Bolingbrook, Illinois, Srinivas Kota, MD, FMNM, ABAARM, is ready to provide a unique blend of services including internal medicine, integrative medicine, and laser hair removal in his medical spa services. Call Premier Physicians to make your appointment, or go online and schedule it with a click. Laser hair removal uses laser light — a concentrated beam of light energy — to destroy active hair follicles. Since hair follicles are permanently destroyed, new hair can no longer be produced. How can you prepare for laser hair removal? You may experience a sensation of warmth, sometimes accompanied by a small snapping feeling, similar to a rubber band snap. However, many patients don't feel anything at all due to the special cooling tip of the laser used by Premier Physicians. To increase the success of the procedure and enhance your comfort, your laser technician uses customized laser settings based on your skin tone and hair color. Most people are good candidates for laser hair removal. Nearly any shade of hair can be removed, with the exception of white or gray hair. Coarse hair is the easiest type of hair to remove. Ultra fine hair can be harder to remove or may require more sessions. Several treatment sessions are needed as your hair has three growth cycles and laser removal only works on hair during the anagen, or active growth phase. For most patients, a total of six laser hair removal sessions will complete the process with each session taking place three to six weeks apart. With the proper course of treatment, your hair should not grow back. However, changes in your body, such as hormone surges or new medications, can stimulate new hair growth. If this occurs, contact Premier Physicians and they will remove any new hair, too. When you’re ready to say goodbye to unwanted hair, Premier Physicians is happy to help you achieve your goals. Use the online appointment tool anytime or call the office to schedule your consultation or treatment.